The building is Awesome. The amenities are fantastic. We love the neighborhood and the friendly dogs in the hallway. We really enjoy being a River Liver! Your review is Awesome! Thank you Kevin. Glad to have you onboard as a River Liver! Just moving into the community. Everyone is very friendly and the location is great! My husband and I have enjoyed exploring our new neighborhood. We are so glad to have you with us. The neighborhood is fun, isn't it? Welcome to the Strip District. Everything is good so far. I especially like the location of the Cork Factory, cause it's quite close to all kinds of good restaurants and also my office. Aha! You have discovered the many good restaurants within walking distance. That certainly is one of the perks of living at The Cork Factory Lofts. It is convenient to many places of business too. We are happy you found us. Welcome. Great experiences after living in the cork for 5 years. Professional staff who are always helpful. Love living at the Cork there nothing like it in the city. What a wonderful review. Thank you, Jack. It is a pleasure to have you here. The cork factory has made moving from northeastern pa the easiest transition possible. Everyone is so helpful, friendly, and always available to recommend any service in the city.. and never disappointed. I’ve been locked out of my apartment, broken my sink when trying to put a filter on with out directions, and blown a fuse- someone immediately saves the day for me after shooting an email. I love the aesthetic of my apartment but it’s really the community that makes it the best. We are so glad to have you here in Pittsburgh, and at The Cork Factory, Kath. Anything we can do for you - just let us know. Thank you for the gracious review. The Cork Factory has a wonderful community of residents. Everyone is friendly and the staff has unmatched service! It’s so much more than just a place to live! Wow! Mind if we quote you? Thanks for the terrific review. We are happy you joined the community. Longtime resident who enjoys living in close proximity to downtown while being in a small neighborhood with lots of close shops, restaurant and cafes. ...and we are so glad to have you here. Thank you for being a valued member of The Cork Factory community. So far everyone has been incredibly helpful and accommodating, especially Carmen! She answered every question I had and made my move in very smooth. My apartment was very clean. Thank you for the great feedback. Carmen is wonderful, isn't she? We are so lucky to have her as Leasing Manager here at The Cork Factory. Well, welcome aboard. Let us know if we can do anything more as you settle in. Coudn’t be any happier to be living here! Great building, and a very convenient location! Close to food, fun, and work; we couldn’t be in a better spot! This review makes us so happy. Thank you, Sabrina. We are glad you are here! Living at the cork factory is superior to buying property. You have everything you need and everything is well taken care of. I never want to leave. Sitting on the Allegheny River and next to part of the network of trails in the region, Cork is a friendly community in the most convenient and walkable neighborhood in the City of Pittsburgh. Most staff is friendly. Amenities are nice although better in the summer since grills are not covered and obviously pool/hot tub are closed and no fire in winter months. Some hallways smell like smoke, garbage, or dog urine and main elevators smell like garbage from garbage shoot in side building. Aside from these issues I enjoy living in the cork factory. Location is good, most residents are friendly, and happy hour is nice. I also like that the noise level in my apt is usually low and almost all noise is from hallway and not neighbors. Love engaging with the friends and neighbors in a range of activities (best part of the cork). General Manager is completely out of touch with the tenants. Will not engage with us, nor respond to concerns. Going downhill fast due to his management style. Very friendly and attentive staff. The new common area looks fantastic and makes you want to hang out for a long while. This is the second place we have lived in Pittsburgh and finally feel at home. We are so glad you are making The Cork Factory your home. It's wonderful to have you here. Thank you for your kind words. Great amenities including being right on the river. It is nice and quiet. Cool apartments with neat layouts.They have such personality. Overall great. Hi Angela. We love your review. 'hope you don't mind if we turn it into a post for our Facebook Page. Thank you for helping us tell the world about how cool The Cork Factory is. Beautiful apartment and view but the construction in the lobby was a real pain. And makes weekly trips to the grocery store a problem. Overall a good experience though. Thank you for the feedback. We apologize for any dust or access issues during the remodeling of our Engine Room. Now that the work is finished and the decorating has begun, we think you will agree the final results are worth the temporary inconvenience. Please join us for Happy Hour next week when we celebrate our fresh look and added amenities. Its been great minus the dog upstairs that barks constantly. aside from that wverything has been great. No issues from me or my girlfriend. Thanks. Hi Jason, thanks for the positive review. We hope you will let us help the barking dog upstairs. As you know, The Cork Factory has a concierge at your service 24/7. Please call the concierge desk anytime your neighbor's dog is barking excessively. The concierge will visit the floor and contact the owner to resolve the issue, documenting the incident for management.. Our team is happy to suggest solutions to the owner, which can result in a happier dog and a happier you. I love being so close to work and the strip. It's awesome getting able to walk to such great shops and restaurants. Everyone here is so friendly. Thanks for the five star review, Carol. This is a great location, isn't it? And our friendly residents can't be topped. We are glad to have you among them. Amazing community of residents and staff in a neighborhood that has it all. What's better than having the river on one side and the best food, entertainment, and shopping on the other? Well said! (We may have to steal that quote.) It is a pleasure to have you here, Jo. Thank you for making The Cork Factory your home. Great place to live! Great amenities. Staff is very generous in their help and assistance. The area it is in also has nearly everything from your favorite restaurants to fresh produce at great prices! Welcome to The Cork Factory, Natalie, and thank you for the positive feedback. We are so glad you are enjoying the community and taking advantage of all that this remarkable neighborhood has to offer. We love it here at the Cork Factory. Great people, service, and facilities! The amenities are top notch and we love the atmosphere of the Cork Factory, including the area. You are a gem. Thank you for the 5 star rating and positive feedback. It's people like you who make this such a great place to live. The CorkFactory Lofts has been a perfect choice for our family. We moved to Pittsburgh from Singapore a year ago and were looking for a spacious 3bdrm apt close to restaurants and conveniences. We love that the building is repurposed and the ‘industrial feel’ adds to its historic charm! The management is very responsive to all requests and the technicians always at hand to deal with maintenance issues. 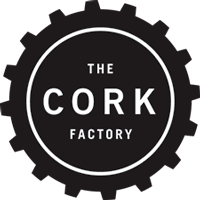 So glad we chose the Cork Factory to be our home away from home! What a wonderful review. Thank you, Seema. It is a pleasure to have you and your family as part of the community. Thank you for making The Cork Factory Lofts your home in Pittsburgh. I love the industrial vibe to the buildings. Each apartment is interesting and unique, which I love! No weight limit on dogs is amazing too! Hi Esther. Thank you for the feedback. Please let us know if ever we can help. If a neighbor's dog is barking, call the concierge desk. We will confirm the noise complaint and notify the owner. We often try new products to keep the loading dock's dumpster area fresh and we utilize deodorizing treatments for the trash chutes. We will assess and monitor the area you’ve mentioned to see what improvements can be made. You make us proud. Thank you for sharing this story, Kathleen. Our Maintenance team is committed to resolving problems no matter what time of day or night. Your testimonial is greatly appreciated. And we are very, very happy to have you and Rich as part of the Cork family.